I've been incorporating facial oils into my routine for several years now after my skin went through a sudden spell of dryness. Adding oil to your complexion can be scary, as many people have the misconception that they were cause breakouts and oiliness throughout the day, but it is all down to finding an oil that is right for your skin type. For me, someone who struggles with combination to dry skin, I tend to sway more towards to radiance boosting, hydrating formulas. Today I am sharing with you a handful of my favourite facial oils for all budgets. Skincare is an area I like to invest in, but there are a few budget options on the market that I'd like to try out; the Good Things Argan Perfecting Oil being at the top of the list. For a lightweight, fast absorbing oil that can be easily applied before makeup, I tend to reach for the Kiehl's Daily Reviving Concentrate*. From the get-go my skin appears more glowing, feels nourished and my pores appear considerably reduced. With added Tamanu and Sunflower seed oil that helps to lock in moisture and promote healthy looking skin, and Ginger Root- the ingredient that gives the oil its scent- has anti-inflammatory properties. Whether I'm after an evening skin treat or I need to diminish the appearance of any blemishes, I always reach for the Aesop Fabulous Face Oil* as it's a good all-rounder. If I have extremely dehydrated skin, I like to double up and use this oil before applying my moisturiser. It leaves me skin looking radiant, feeling supple and helps to heal my de-congested complexion. Although the Zelens Power A High Potency Treatment Drops* might make your eyes water in terms of the price, if you're after a luxe purchase that is worth the money then this is your best bet. This oil free, retinol treatment has a thicker consistency than other facial oils I have tried, so I tend to use this on pamper nights or if my skin needs some extra TLC. It contains Vitamin A which evens out your skintone and clears your complexion, whilst the treatment improves the skins overall texture and appearance. 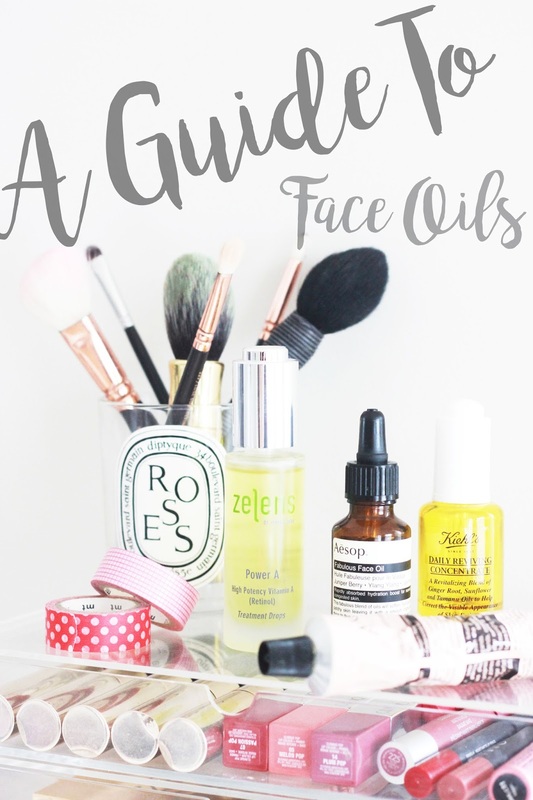 What face oils do you reach for?